Hawaii car insurance is a requirement of the law. 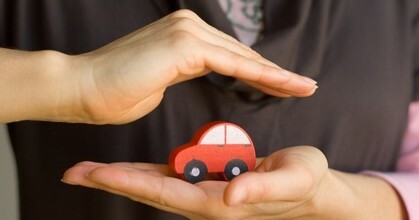 All drivers are required to insure their car. This insurance coverage will protect drivers against cost incurred as a result of injury or damage that their cars cause. Keep reading this article to get more insights about Hawaii’s car insurance requirements, laws and how to get low cost car insurance premiums. This state is considered a no-fault state. If you are involved in an accident, you and your passengers will automatically qualify for cover for any injury suffered. The insurance cover responsible for this is called personal injury protection (PIP). The minimum required limit for PIP is $10,000. Medical payments – This will cover medical costs if you are injured in an accident. NOTE: Comprehensive and collision insurance are not mandatory in Hawaii, but your car financing institution often requires drivers to purchase them. In Hawaii, the law requires you to carry a car insurance ID whenever you step into your car to provide proof of insurance at various traffic stop points. If you forget to carry this ID, and you are caught, you will be required to pay traffic tickets and fines. Drivers with unclean history of driving may find it hard to get their car insured. Most Hawaii car insurance companies don’t want to be associated with these drivers due to high risks involved. If you are such a driver and you have found it hard to get open market insurance company, you can insure your car through Hawaii’s joint underwriting plan. Normally their insurance premiums are very high since they share the higher risks involved when you cause an accident. You can apply for Hawaii’s joint underwriting plan insurance cover through any insurance agent in your local area. If you have any complaint concerning your car insurance, you can get in touch with Hawaii Insurance Division. Through this body, you can get your dispute resolved or report any suspected car insurance fraud. Hiking the cost of damages and repairs. You should therefore report any suspected car insurance fraud to Hawaii Insurance Division through mail or by phone. Through mail, you can send a Suspected Fraudulent Claim Referral Form (Form IFIB SFC1) to the address above. Through phone, you can report your claim using Hawaii Insurance Division hotline (808) 597-7416.